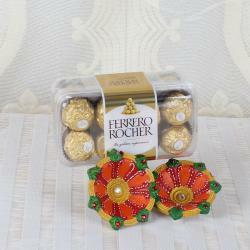 Product Consists: 24 pcs of Ferrero Rocher Chocolate along with Set of 4 Colorful Earthen Diya. Gift this amazing chocolate to your friend, family on his special day and surely you will get appreciated for your fabulous choice. 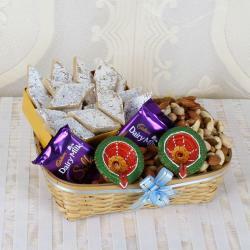 You are looking for something special as like Diwali for the close one to your heart; we have a fabulous gift for loved ones. 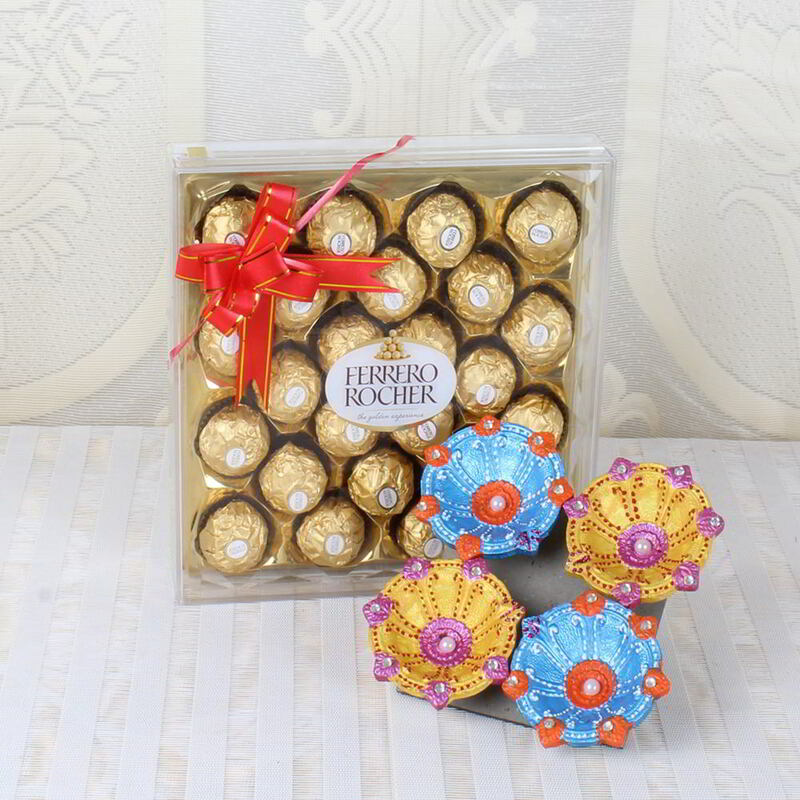 Ferrero Rocher Chocolate is one of the best one to gift. Chocolates are loved by all right from kids to grownups. So they become a perfect gifting solution for Diwali occasion. Make a memory with them that they will cherish for a lifetime. 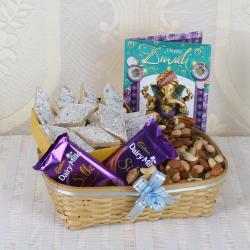 So go ahead and order this combo for them today and make their Diwali celebration memorable. 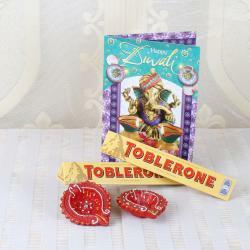 Product Includes: 24 pcs of Ferrero Rocher Chocolate along with Set of 4 Colorful Earthen Diya.